Participants will need to “Like” the Samsung Mobile Malaysia Facebook Page. Twenty weekly winners will be selected for the periods of 8-14 June 2015; 15-21 June 2015; and 22-28 June 2015. The contest will end at 2359 hours 28th June 2015. Entries received after this will not be entertained or qualified as a valid entry. Participants will have to follow the @SamsungMobileMY Instagram account. Multiple submissions are allowed but one person may only win once only. 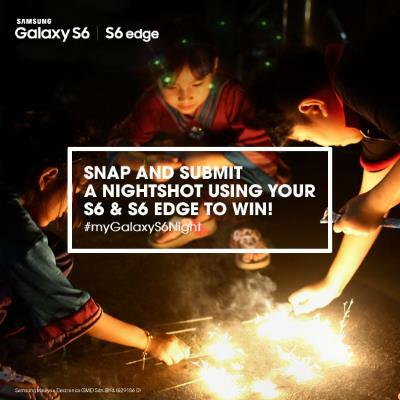 Visit #myGalaxyS6Night Photo Contest for more details.